Usually I get the images, but this time I didn’t understand why use the image of an old man standing in front of a moving coal burning train? 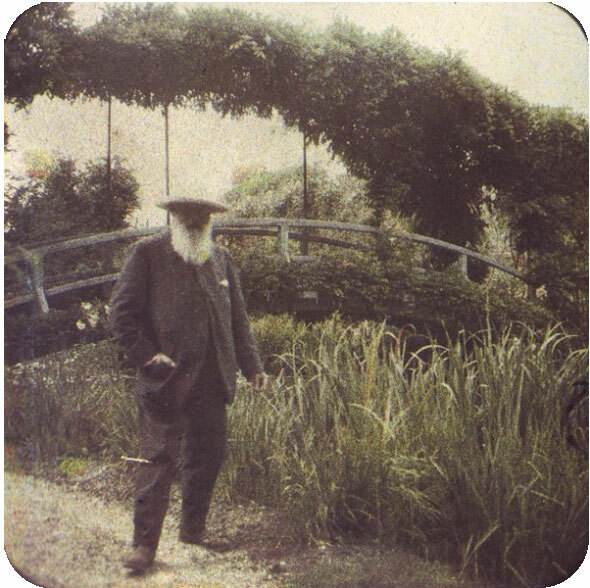 It took a bit to realize it was Claude Monet at his property in Giverny. Nice.